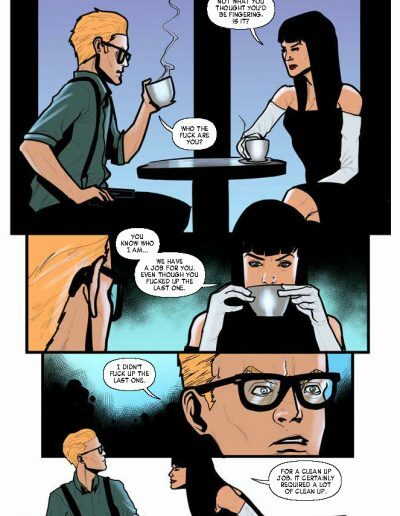 How does your flirt game compare to a wannabe assassin’s? 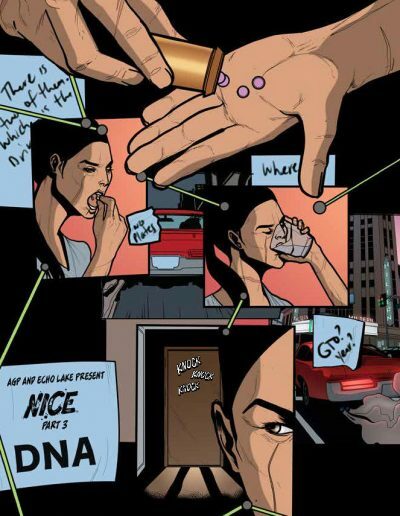 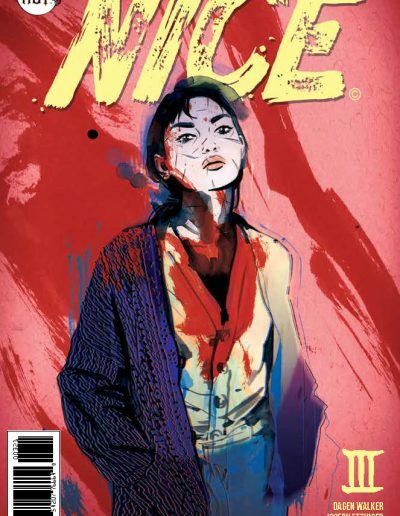 NICE #3 will show you some do’s and (mostly) don’ts from LA’s slickest hitman (according to himself, that is – Grace might disagree). 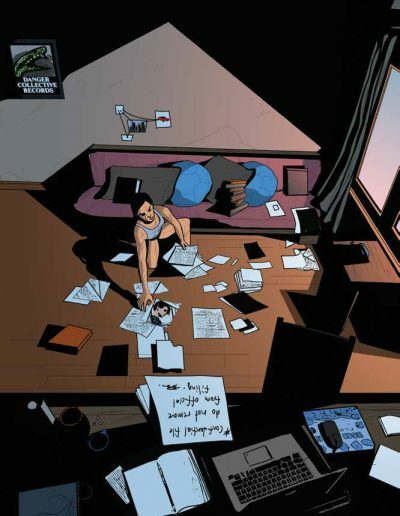 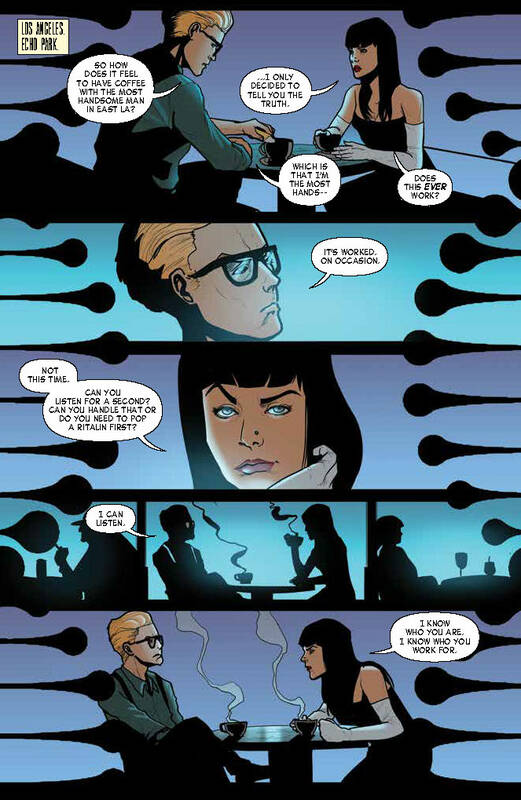 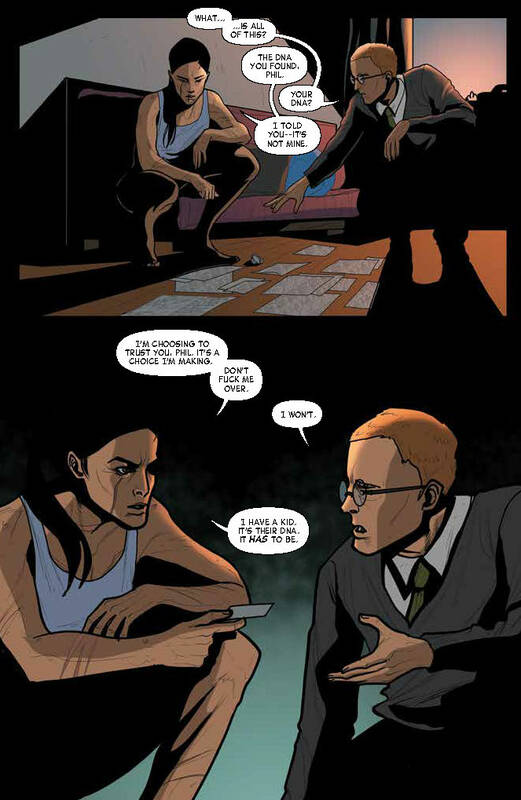 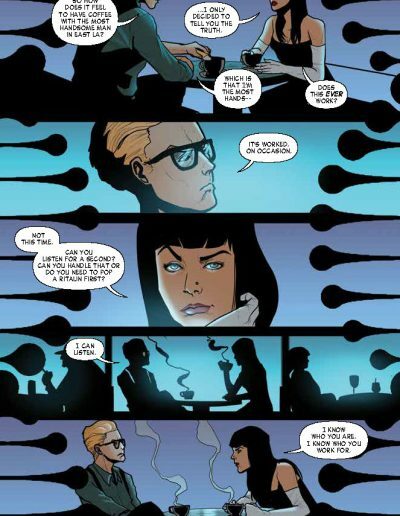 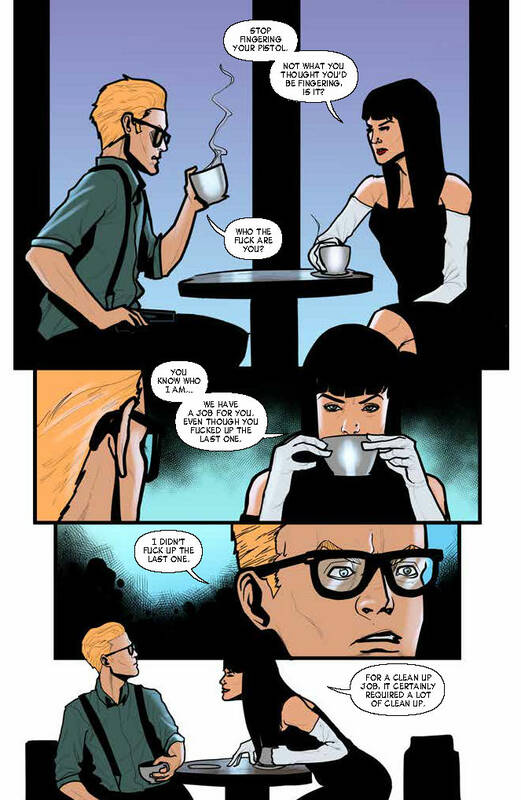 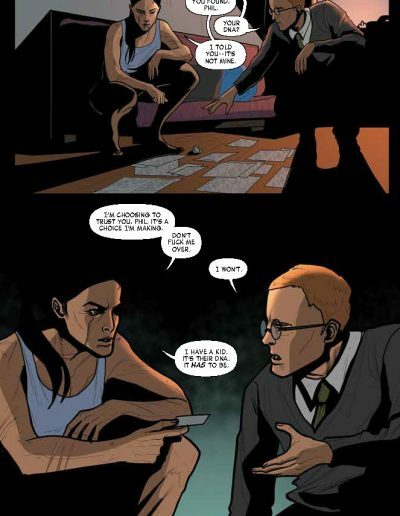 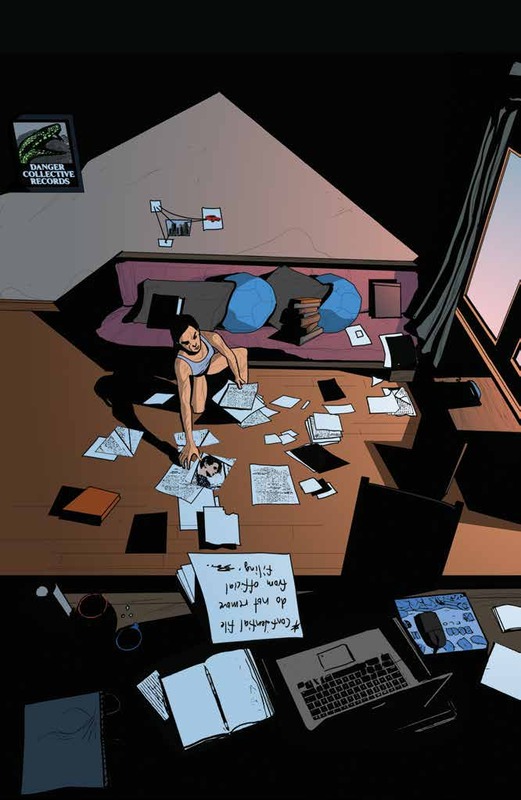 Along with a trusting moment between Hanin and her coworker that will leave you going “awww”, this Issue 3 preview is all about the love (and blood). 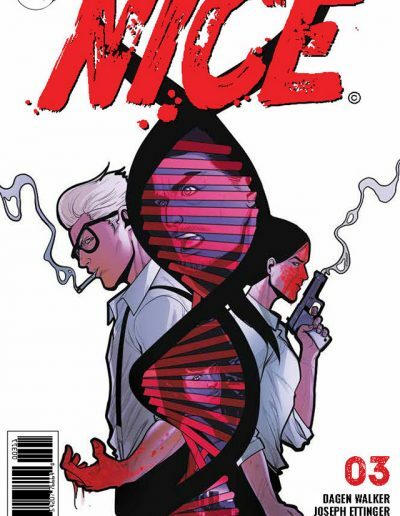 NICE is based on a pilot screenplay written by Dagen Walker and Joseph Ettinger, who also wrote the comic adaptation, and illustrated by Marc Rene, with colors by Dennis Calero and letters by Jenn Pham. 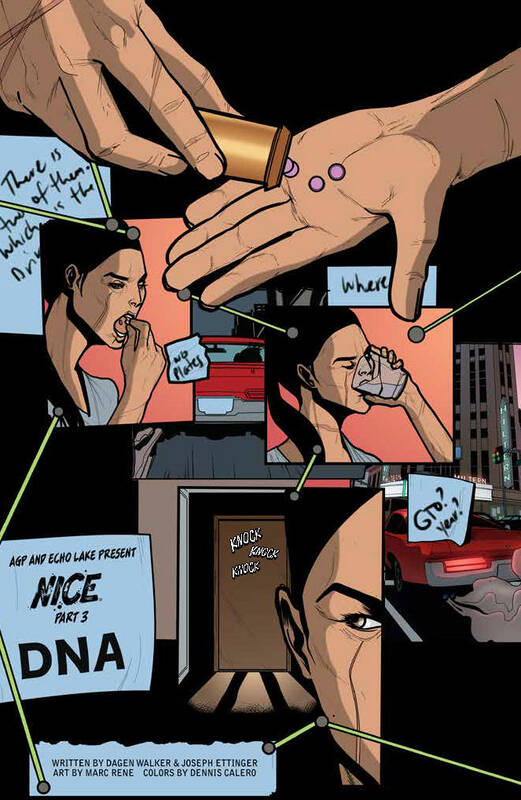 Issue 3 hits shops on Wednesday, February 6! 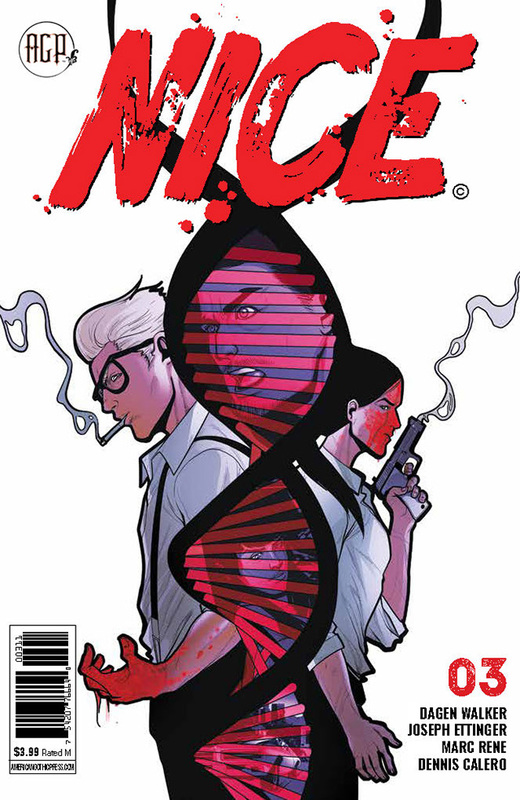 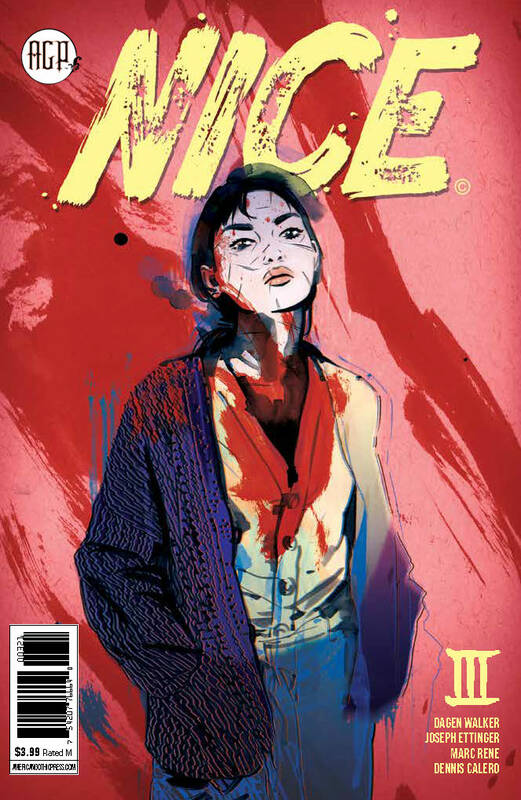 Preorder your copy of NICE #3 from CaptainCo!